Hawala Vs. Bitcoin: The digital trust network of the 21st century. First, Hawala is a system or agency for transferring money in traditional way used in India and middle east and south Asia, the money is paid to an agent who then instructs a remote associate to pay the final recipient. Hawala is word which has recently made quite a few headlines. The word “Hawala” means “trust”. It is an alternative remittance system, which works outside the circle of banks and formal financial systems. The reason, why Hawala is extensively used although it is unregulated of thus illegal in many pass of the world, is the inseparable element of trust and extensive use of family or regional affiliations. Hawala is an ancient system of money transfer which originated in India and middle east South Asia and is now being used across the globe. This system mainly developed in India, before the introduction of western banking practices. Though it is being used across the world to remit funds, but it is not a legal system. It works based on many middle men called the hawaldars or the hawala dealers. In a hawala transaction, no physical movement of cash is there. Hawala system works with a network of operators called Hawaldars or Hawala Dealers. A person willing to transfer money, contacts a Hawala operator at the source location. The hawala operator at that end collects the money from that person who wishes to make a transfer. He then calls upon his counterpart or the other Hawala operator at the destination place/country was the transfer must be made. The best way to understand Hawala is through understanding a single hawala transaction. In the hawala system, the money is transferred by means of a telephone call or fax between dealers in different countries. No legal contracts are involved, and recipients are given only a code number or simple token, such as a low-value banknote torn in half, to prove that money is due. Trust is the only capital that the dealers have. the users of hawala have a worldwide money transmission service that is cheap, fast and free of bureaucracy. From a government’s point of view, informal money networks are threatening, since they lie outside official channels that are regulated and taxed. Earlier this year, Pakistan’s finance minister, Shaukat Aziz, a former Citibank executive, complained that only $1.2 billion of the $6 billion sent annually to Pakistan from overseas arrives through the banking system. Most of the rest, he said, makes its way in through hawala and other informal channels. Now that America is scrutinizing money movements around the world and freezing accounts, more funds are entering Pakistan officially. Undoubtedly, criminals as well as overseas workers are using informal money-transfer systems. Historically, hawala networks have played a vital role in the smuggling of gold from Europe to India, through Dubai. According to Martin Comely at the National Criminal Intelligence Service in London, the use of hawala dealers in Britain by criminals has been rising in recent years. He notes that the operations of some dealers are now so large that they need to use the banking system to help them make transfers. The question for law-enforcement agencies is whether informal money-transfer networks are so permeated by illegal activities, including terrorism, that they should be shut down altogether. Tom Naylor, an expert in economic crime at McGill University in Montreal, says it is nonsense to think that informal remittance houses could handle shady money on the scale of the big, reputable banks. 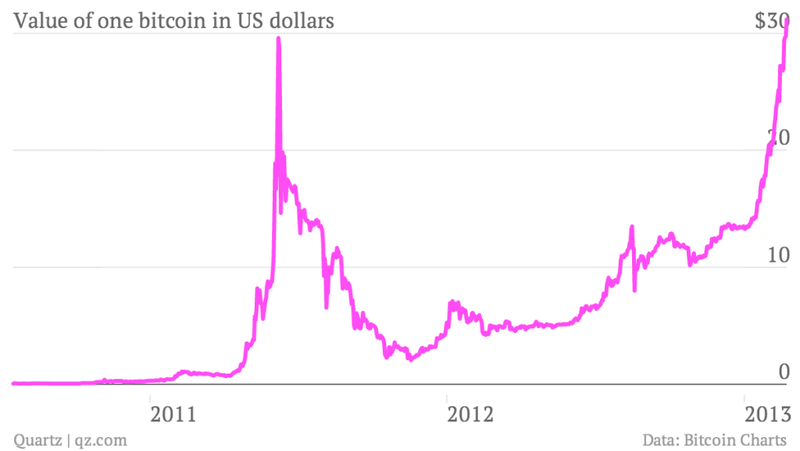 Bitcoins are a kind of cryptocurrency, in the sense of them being conceptual. They are manufactured using software, by solving complex mathematical problems, and cryptology having market values. By solving one such problem nearly 12-and-a-half bitcoins are generated. 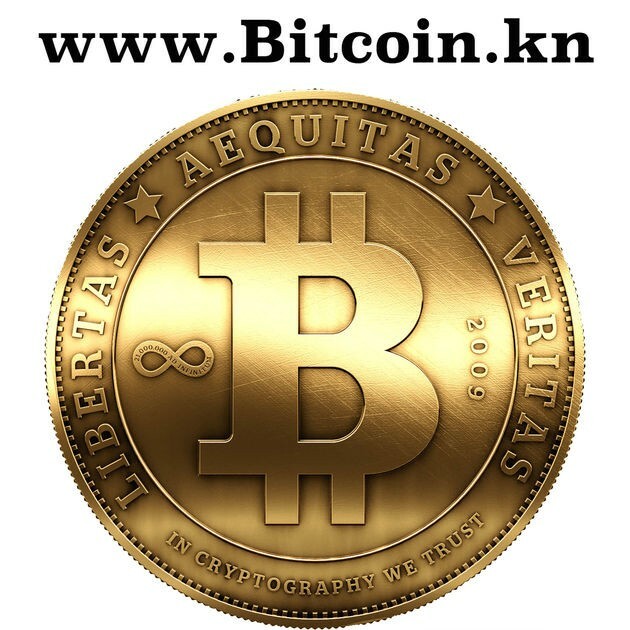 The idea of bitcoin emerged in October 2008 from a research paper by someone or someone by the name of Satoshi Nakamoto. The purchase process using bitcoin is so secure that it is not possible to hack the system. Only a money transfer can be seen, but nothing can be known about the sender and the recipient. This type of anonymity, with its strong cryptological security, is ensured by those dealing with bitcoins. The details of each transaction report are available in a ledger called ‘blockchain’. From this open source, anybody can tell how many bitcoins are traded at some specified public key. But nobody can know the owner of those bitcoins, as the security of the ledger cannot be easily broken, making the system’s character of anonymity and privacy also its drawback. The bitcoin’s popularity in India has grown after demonetization. 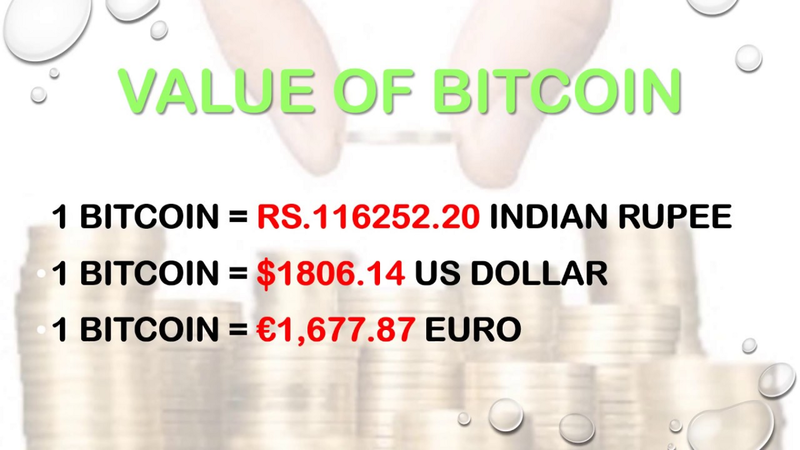 At the time of its announcement in November, the price of one bitcoin in India was $757. It was lingering between $866 and $896 during the early days of demonetization. It reached $1,020 18 days after Prime Minister Narendra Modi announced demonetization on November 8, 2016. Bitcoin and the ancient transfer system utilized throughout the Orient called Hawala are similar in some basic ways. They are both remittance systems that can potentially support anonymous transactions as well as cross-border activity on a global scale. The similarities are limited though, there are significant differences. These two systems show how Bitcoin represents much more than being a mere digital version of Hawala, as some have suggested. Hawala is an ancient alternative remittance system that has its origins in the classical Islamic law of the 8th century. In those days, it was used for trade financing to avoid the dangers inherent in traveling with gold and other forms of payment on routes beset with bandits. The concepts of agency in common law and à Val in French civil law were both heavily influenced by Hawala, and the word à Val is even derived from the word Hawala. Even though some argue for a marriage between Bitcoin and Hawala, the two systems make an unlikely couple. Block chain technology allows regulators to better track transactions than any other payment system because customers of licensed Bitcoin businesses in developed economies such as the US and the EU are verified not only by the digital exchanges operating in these countries but also by the banks Bitcoin-owners use for deposits and withdrawals in fiat money. Ensuring that proper Know-Your-Customer policies are followed does represent a substantial challenge for financial market authorities and compliance officers at financial institutions. However, a narrow legalistic focus misses the important technological and socioeconomic aspects, and it must be reiterated that unlike Hawala, Bitcoin transactions are recorded on the block chain ledger for purposes of tractability and protection from malicious intent. The Hawala system has also inherited a reputation of duplicity with compliance authorities. This is mainly due to its association with dishonest behaviors such as money laundering and funding terrorist cells. It is worthwhile to note that paper money and regular banking channels utilizing the traditional monetary system have long been used for money laundering, and even such reputable global banks as HSBC have been fined in recent history for involvement in such activities. Even the noblest of financial institutions that pride themselves on their reputations, such as Credit Swiss and UBS in Switzerland, have a less-than-impeccable track record from assisting high-net worth individuals to circumvent taxes on a scandalous scale. It must be stressed that it is not digital coins or banknotes or junk bonds that commit crime and misallocate funds — it is people who use those financial instruments for such purposes. Enforcement activities to prevent money laundering, whether through Hawala or Bitcoin, must focus on the irresponsible actions of people abusing those systems, rather than the systems themselves. Conclusion to The Future of Bitcoins and Hawala. Bitcoins can be helpful to a lot of people. Since they are an international currency, you can use them in any country without having to convert between currencies. The Blockchain is secure and it lets you make sure your money goes to/comes from the right person. People receiving Bitcoins won’t have to pay anything for the transactions, and Bitcoins have a lot of support. These will help Bitcoin get more users, and if everyone uses Bitcoin it could replace official currencies. Sure, it has some disadvantages, but some of those are because Bitcoin is a new thing, so as time goes on they will be less of a problem. The others can easily be avoided. Hawala is an efficient and accepted system of money transfer in the Middle East; eradicating such an entrenched system overnight is not practicable. Furthermore, the removal of hawala would be economically damaging to several nations. Born on Mar 95 .. Studying a digital forensics in U.S. Ohio. اللهم أحفظ لي أغلى ماأملك ♥.